This simple observation made by Gordon Moore in 1965 has -up until recently- remained true. The number of transistors per square inch on integrated circuits has indeed doubled about every 18 months. Moore’s forecast about the pace of silicon technology, essentially described the basic business model for the semiconductor industry. The phenomenon of technology being literally and metaphorically ‘so last year’, has plagued consumers for about 3 decades. Buying a brand new iPhone was awesome, until the following year when it was next to useless compared to the processing power of the newer model. Law firms, schools and other companies that use computer labs have had to replace all of their equipment every 3-5 years (or even sooner) just to keep up with the progressing technology. To put this into perspective, if other items in our lives improved at the same the fastest car would now be capable of a tenth of the speed of light; the tallest building would reach halfway to the Moon according to the Economist. The smart phones that we use today have more processing power than the supercomputers of the 1970’s. It was thought we would never be able to make a computer that was smaller than the average kitchen because of the energy required to power it, how wrong we were. Since this kind of growth is exponential, there is no way for it to be sustainable. 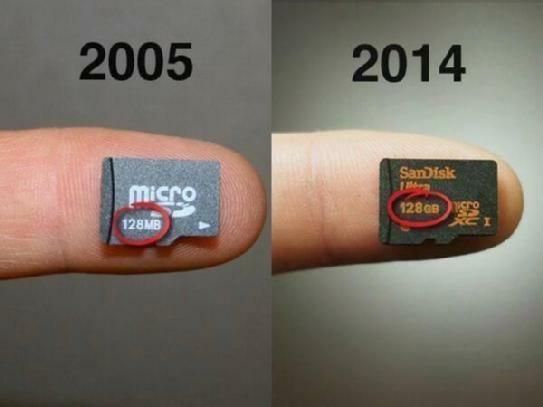 In fact Moore’s Law seems to be slowing from a traditional 18 months to about 2.5 years. This might sound a bit scary, no one wants technology to stop improving, but experts say not to worry. If we can’t squeeze any more transistors into our processors (see the 450mm wafer development), improvements in technology will be focused on other areas. Cloud technology is expected to soar in the next few years. After everyone has migrated their applications to the cloud and once security improves, we will begin to measure progress in the cloud instead of through processors. Artificial Intelligence is also taking off, and being able to utilize supercomputer’s computation abilities could drastically change the way we use technology, particularly in the IoT (Internet of Things). This isn’t to say that we will never see improvements in semiconductors, we will just see slower improvements. This can be a good thing, considering the resources companies like Intel have at their disposal for focus in other directions. If you are interested in having your company migrate to the cloud, please contact Pagoda Technologies and we would be happy to help.